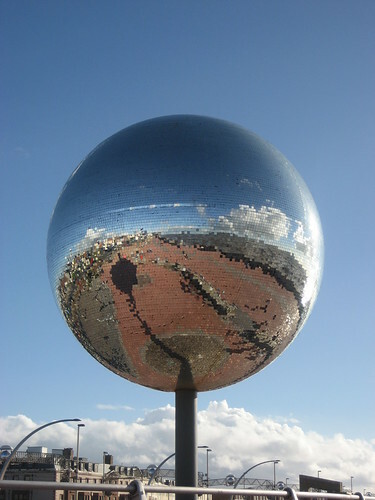 A giant revolving ball made of 46,500 mirror tiles and having a diameter of 6.1 metres (20 feet) is claimed as the World's largest mirror ball. 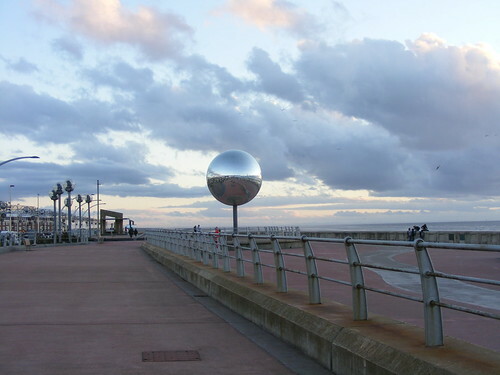 Located on the Blackpool's South Promenade, the 4.5-tonne ball was designed by artist Michael Trainor for the Manchester-based Art Department. 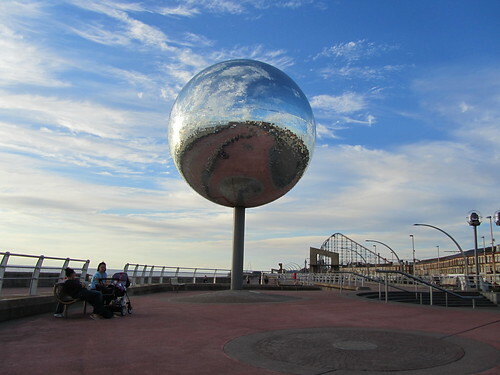 The giant mirror ball is illuminated at night with a colour changing light show and has a strange name of "They Shoot Horses Don’t They", based on the 1960 movie of the same name.